Type your ICAT tracking number below, get live delivery information with our express tracking system. 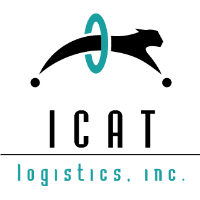 ICAT Logistics, Inc. was founded in 1993 by Rick Campbell, President and CEO with a simple goal in mind – to create an environment where people were proud to be members. That pride would be reflected in this otherwise ordinary band of individuals through the extraordinary service they provided their customers. Campbell’s industry experiences began after his graduation from Penn Sate University joining CF Air Freight in 1982. Campbell held various managerial and leadership positions within CF and American Airlines over the next 10 years prior to opening an air freight forwarder agency in 1992. From the first office in Baltimore, ICAT has expanded to 15 offices in the US and to over 100 global affiliate partners. If you have problem with our express tracking system, please track your package directly on the ICAT Logistics website. If you get no tracking information from ICAT Logistics official website, you’d better contact them. If you have problem with our ICAT Tracking system, submit your problem here, we will help you as soon as possible. Declare: We can NOT contact carrier or others on your behalf, we can only help you track your package with your ICAT tracking number on official tracking system.